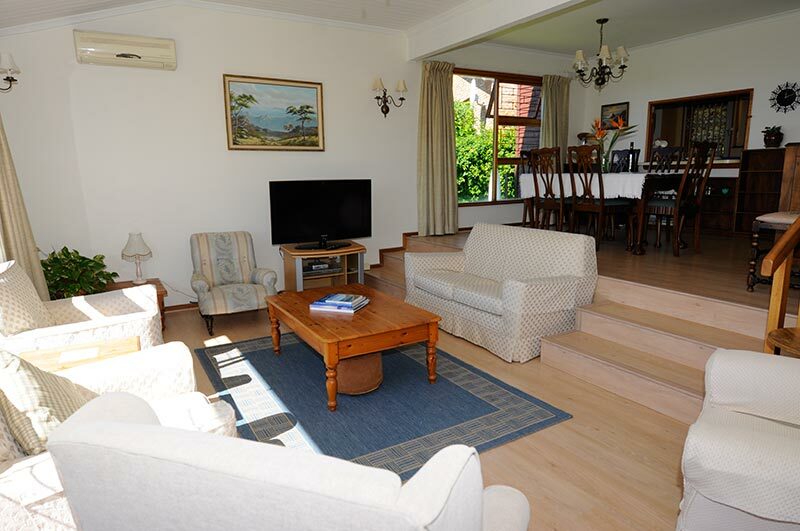 The light and airy sea-facing lounge is furnished with a cosy couch and armchair suite. The full DSTV package (cable television) is available on a widescreen plasma TV. For those mid summer days air conditioning and a ceiling fan will keep you cool in the lounge. Overlooking the lounge, the dining area features a table seating six people. It connects to the kitchen by an open hatch, making serving meals easy and holiday casual. The large kitchen opens to the dining room through a convenient hatch. 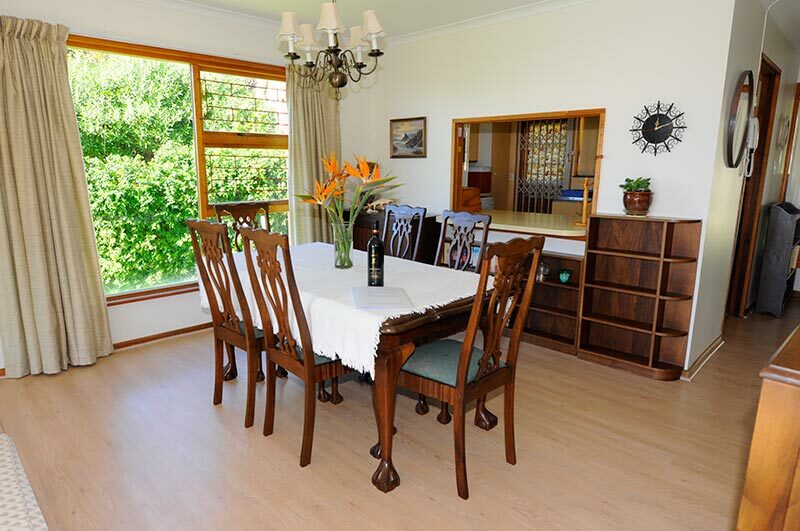 It has abundant counter and cupboard space, and is generously equipped with cutlery, crockery and glassware. 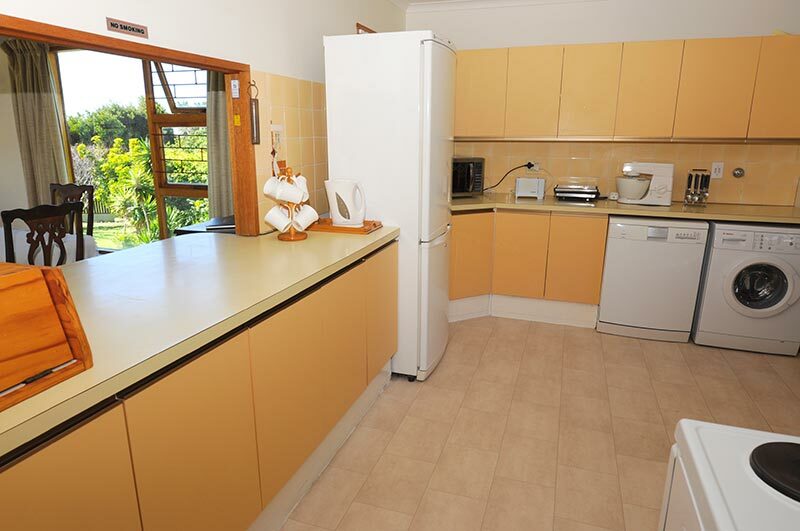 Appliances include refrigerator, stove, dishwasher, microwave, electric kettle, toaster, washing machine and piped filter water. It is stocked with a selection of tea, coffee, sugar and sweetener upon guests’ arrival. 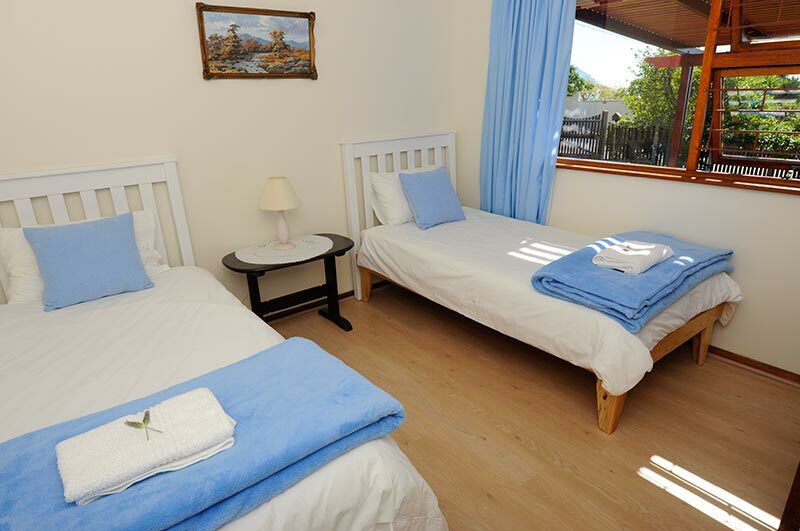 The master bedroom has a sea view, a queen size bed with 100% percale linen and a spare single bed for children, if required. En suite bathroom with toilet, basin and shower. 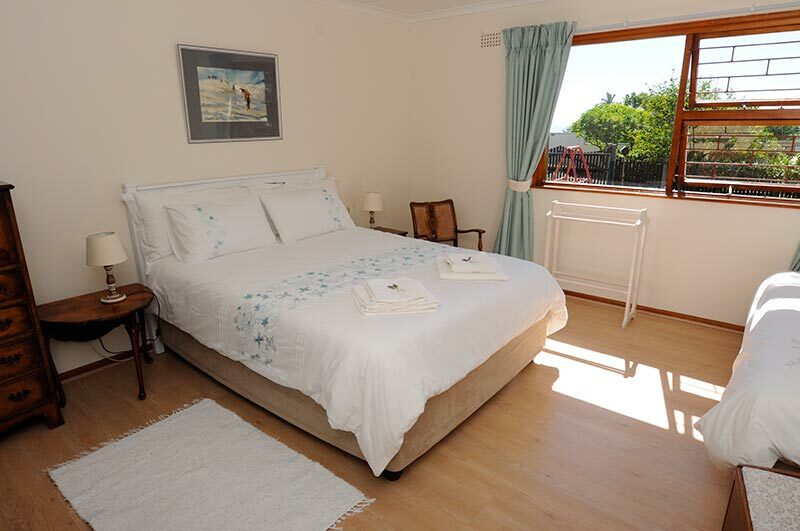 The twin bedroom has a sea view, two single beds with 100% percale linen and is opposite the family bathroom. 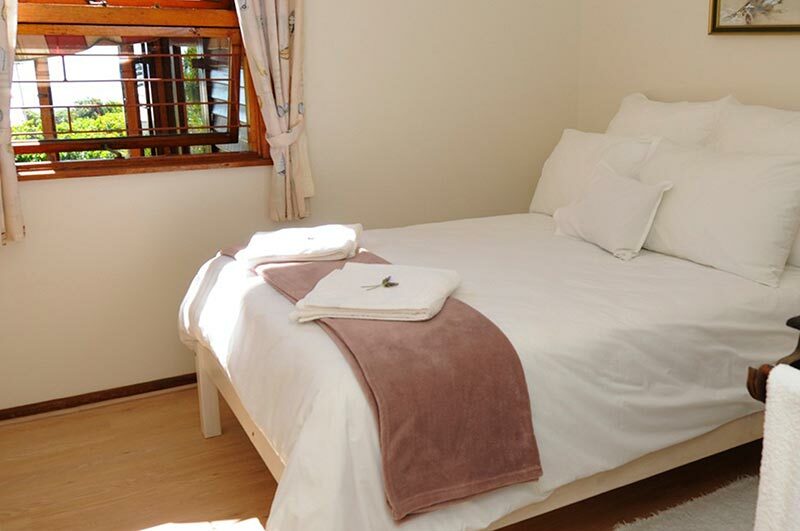 The double bedroom looks out onto the patio and lawn, has a double bed with 100% percale linen and is close to the family bathroom. With its spectacular view of the sea, the front patio is an ideal spot for relaxed family breakfasts and lunches or simply reading a book. If you have children, it’s a great place for you to relax while watching them play on the large lawn. 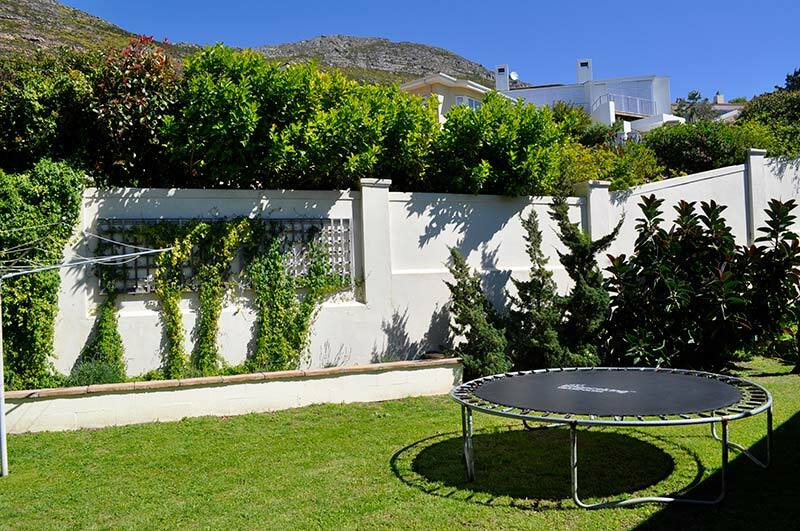 Just behind the kitchen, the back yard faces the dramatic Simonsberg Mountain, part of the Table Mountain Range. It is a lovely and safe space for children to play, either on the lawn or on the trampoline. The minimum stay at Tom’s Cabin is two nights. For stays of longer than a week a discounted rate can be negotiated. 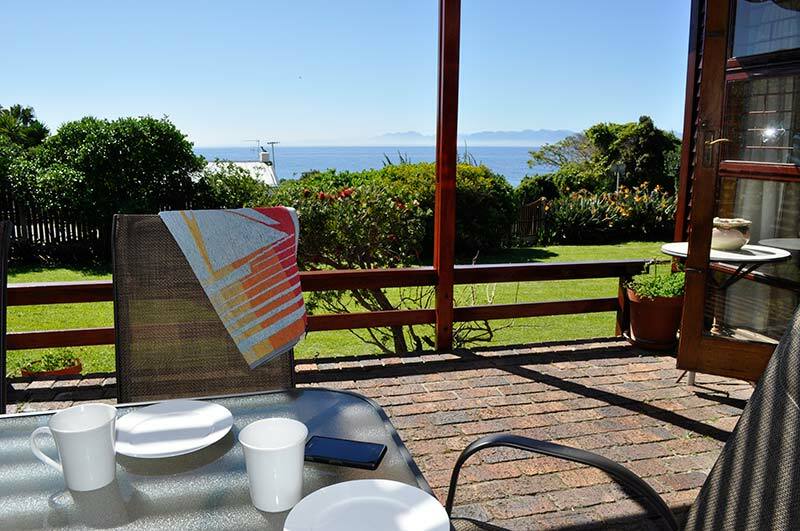 A once-off cleaning fee of R650 will be charged per booking. Payments can be made via EFT and our banking details will be provided on confirmation of a booking. To confirm your booking a deposit of 50% of the rental fee will be required upfront with the remainder due by the commencement of the rental. We request no smoking inside Tom’s Cabin due to the wooden nature of the building. Check in time on day of arrival is 12pm & check out is by 2pm on departure date.